(17) Photos Printable Brochure Apply For Credit Test Drive Text Us About This Vehicle! *** LOW, LOW MILES!!! *** Each Owner Rarely Used Their Convertible! *** Almost $50K New *** With the Added Options of the 6 Speed Manual Transmission, Heads Up Display, Bose Sound and a 12 Disc CD Changer in the Trunk.... Plus the Options Package that also includes the 6 Way Power Seats, Memory seats, Power Telescoping Steering Wheel. Additionally... Looks BEAUTIFUL with the 17" Polished Silver Aluminum Wheels, and SOUNDS Great with Borla Exhaust!!! *** ALL ORIGINAL *** GOOD CARFAX *** No Accidents or Other Damage Reports. Take a Break From All The White and Black Corvettes and Get Yourself this Beauty in the Light Pewter Metallic! 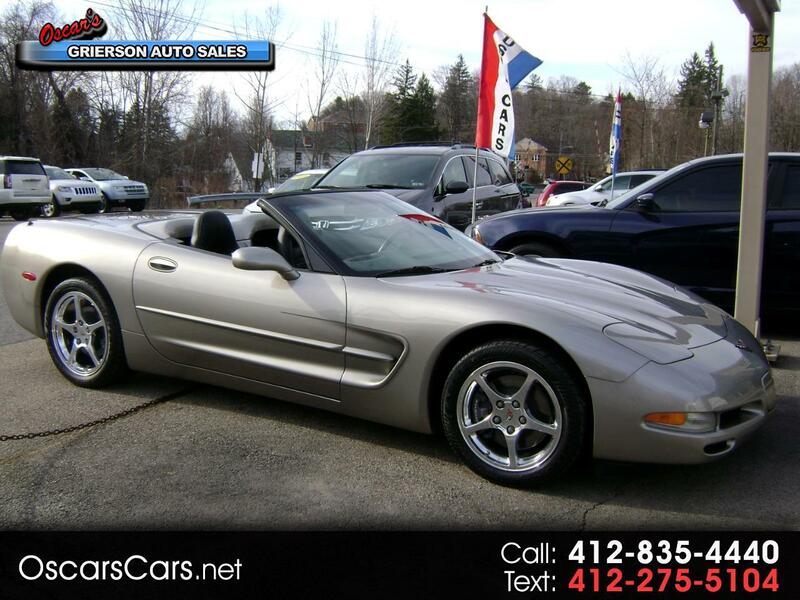 This is a GREAT PRICE for Such a Low Mileage Vette. Others are Asking MORE for theirs with Triple+ Mileage!!! !.